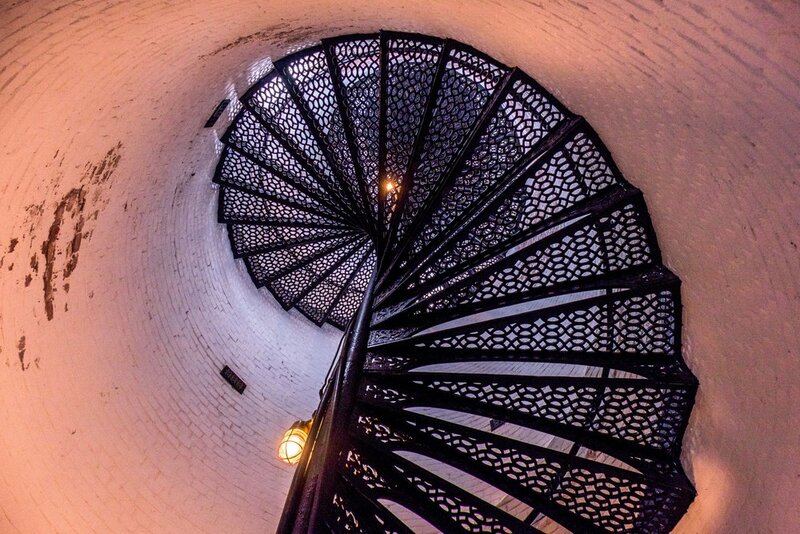 On the way to the top of the lighthouse; only 177 steps to the top light deck. These stairs were really narrow at this point, with the end toward the center being only a few inches wide. The light keeper had to make this trip four times a day often with a load of supplies. Of course he did not need a gym membership, so there is that perk! His wife was required to do so if he were ill.